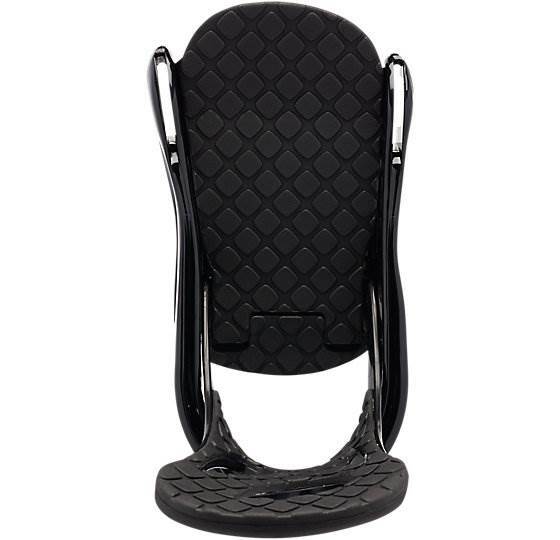 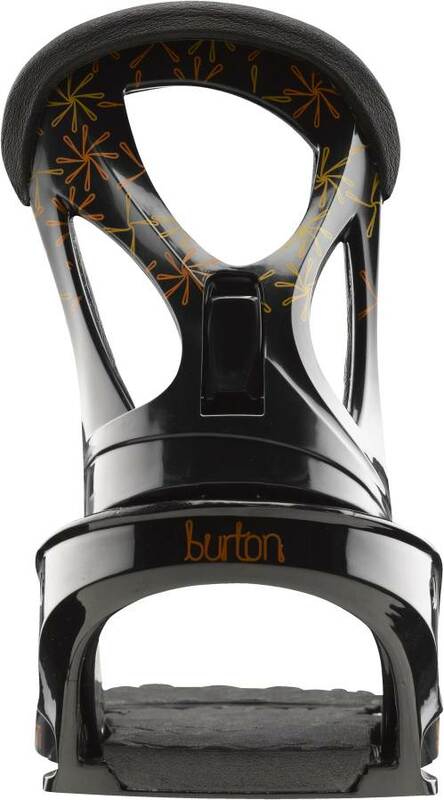 The Burton Stiletto is a very recommendable binding that has been in Burton’s line for a really long time. 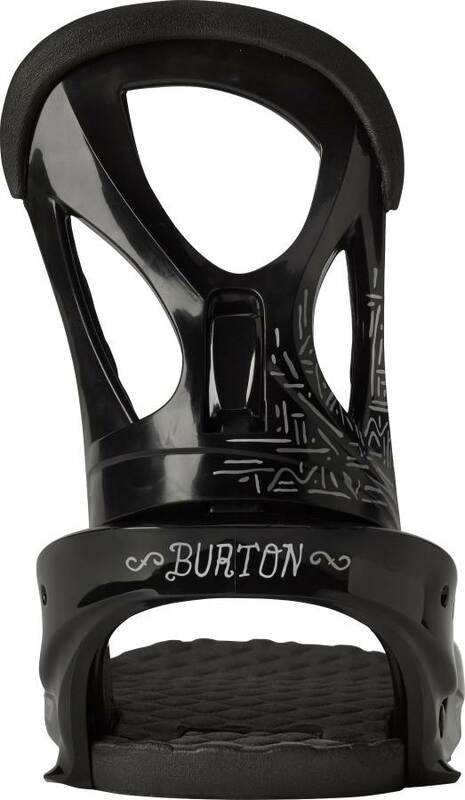 It’s got a nice smooth easy response that pairs up with easier turning boards and other than no stance adjustability with traditional insert boards (non-channel) it’s got a lot of features for the price point. 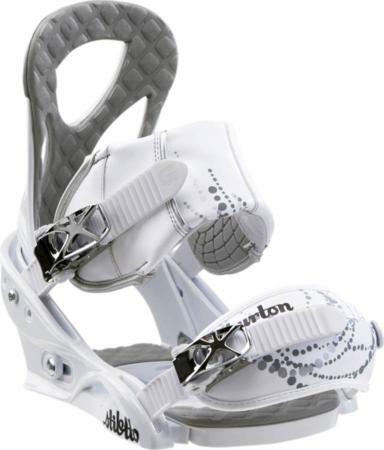 We always recommend Re:Flex over EST as well even if you pair these up with a Burton board. 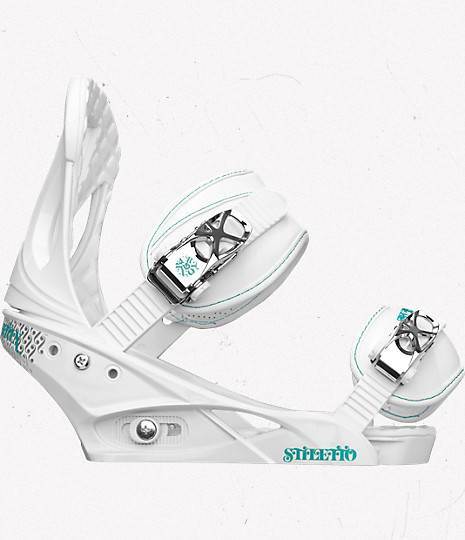 The 2014 Burton Stiletto went to Re:Flex and it’s about time. 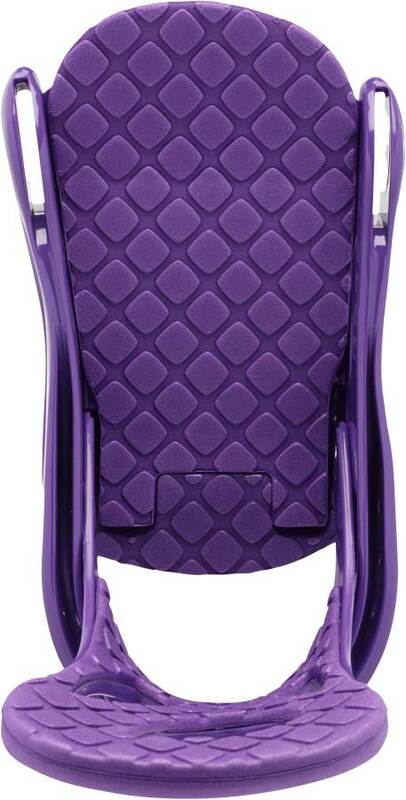 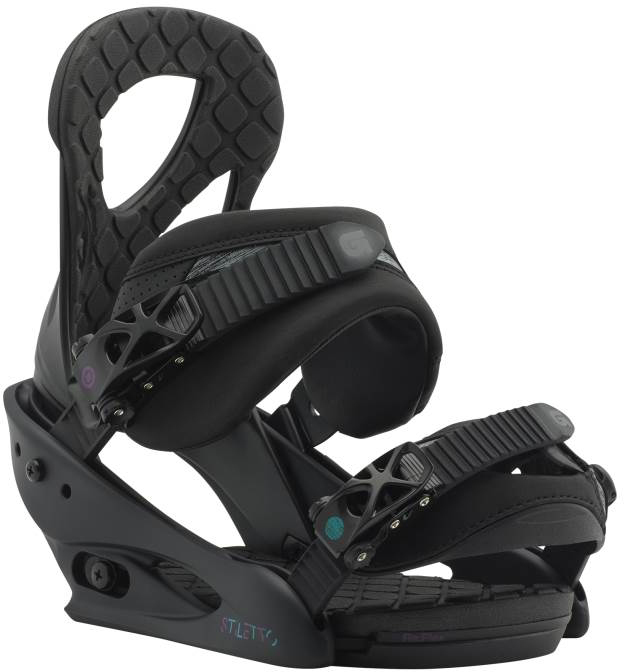 It makes this a great entry level plus binding and becomes recommendable because of the better flex underfoot. 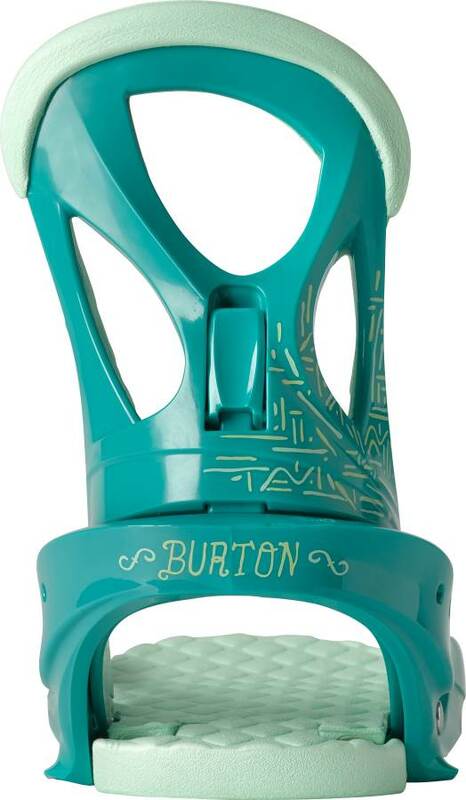 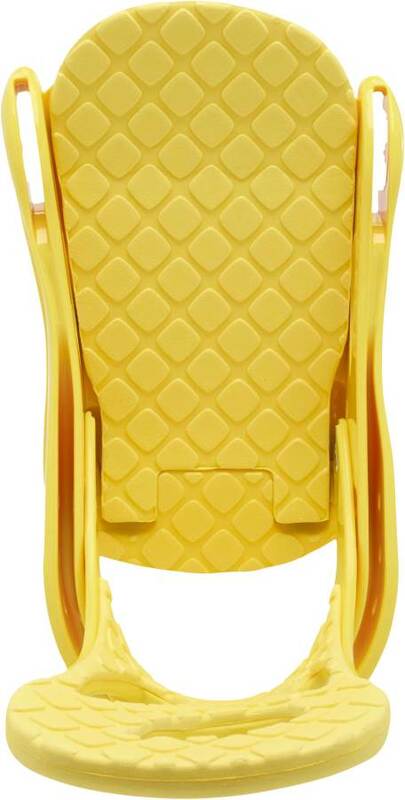 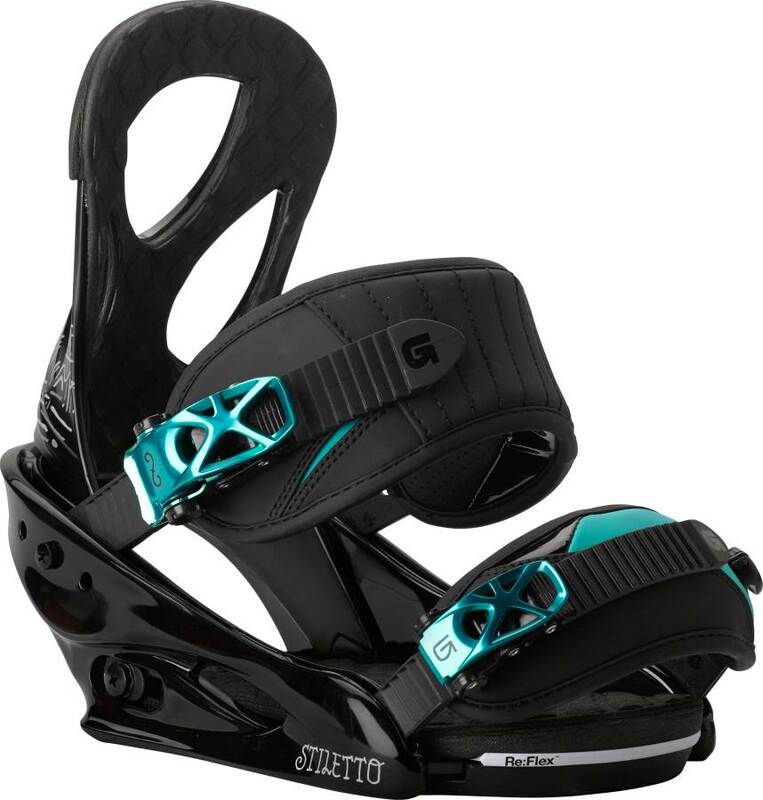 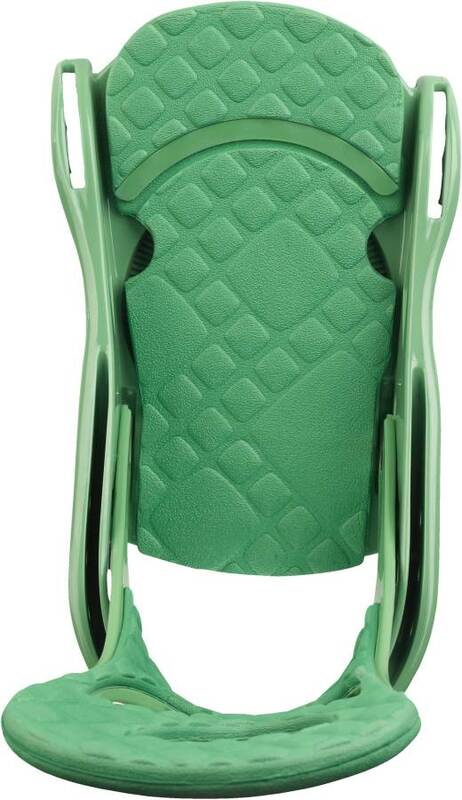 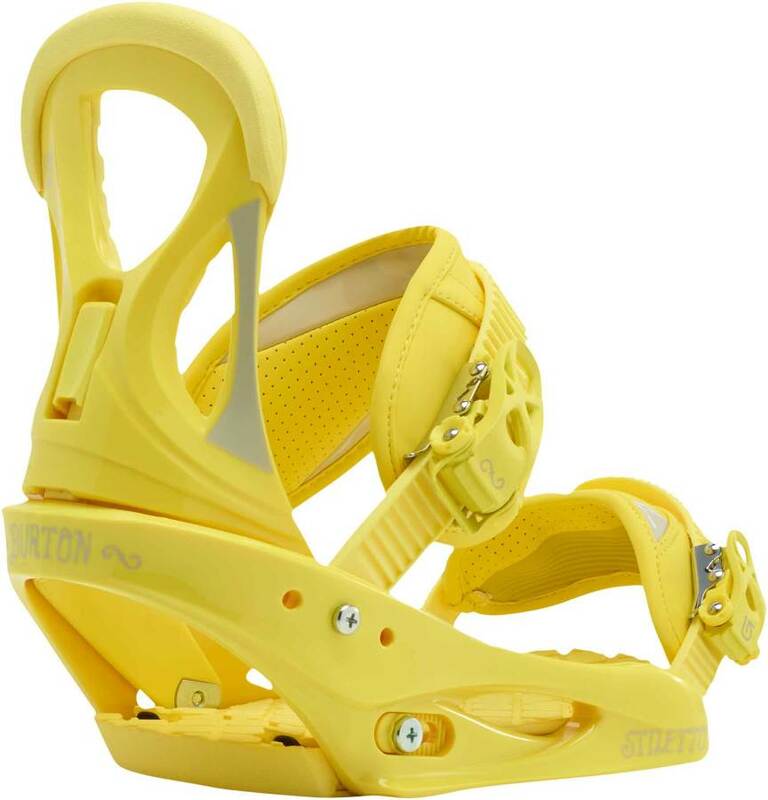 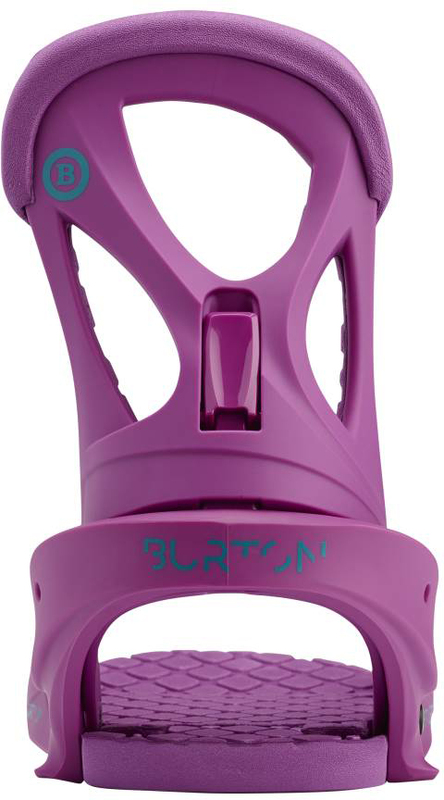 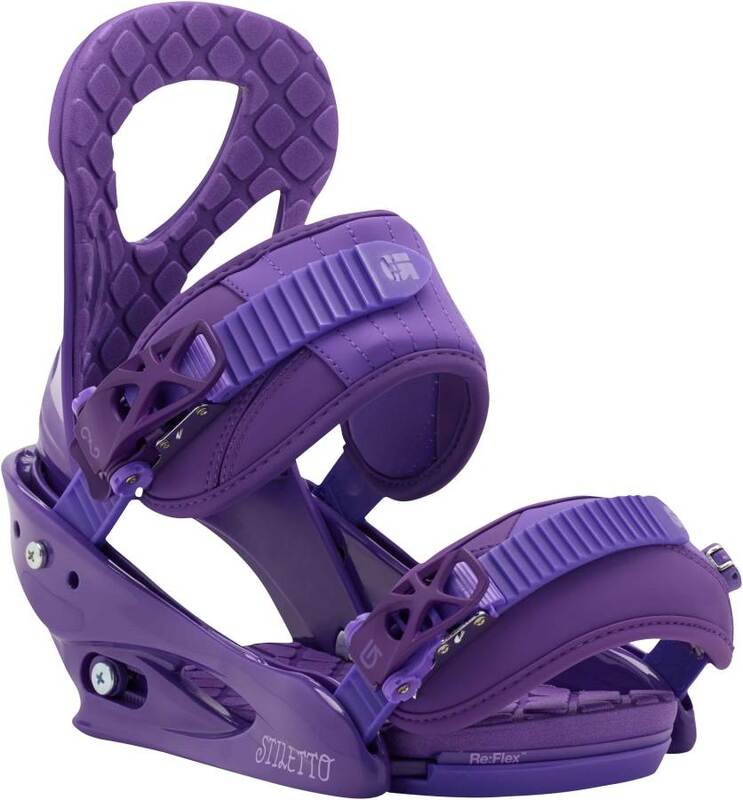 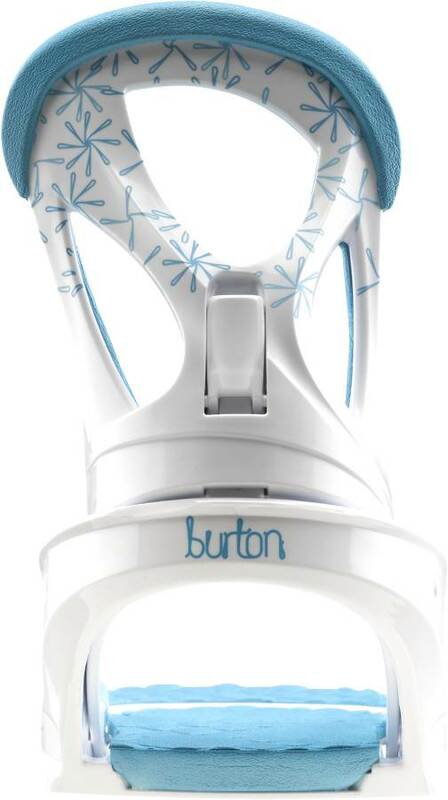 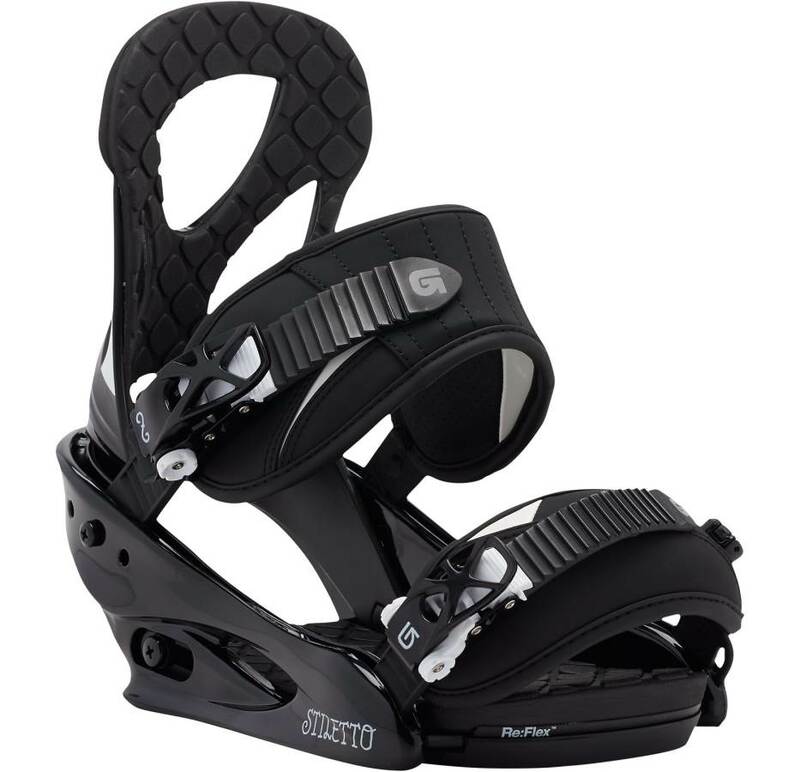 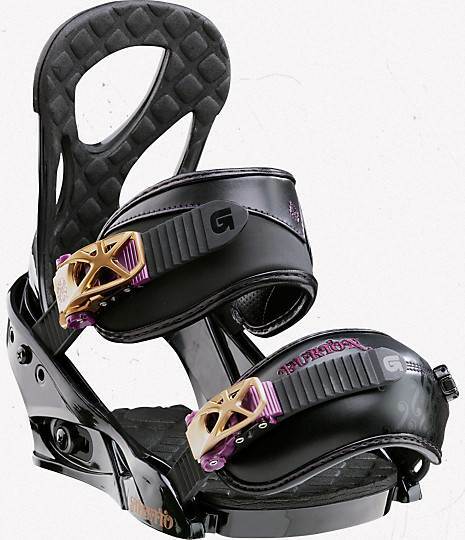 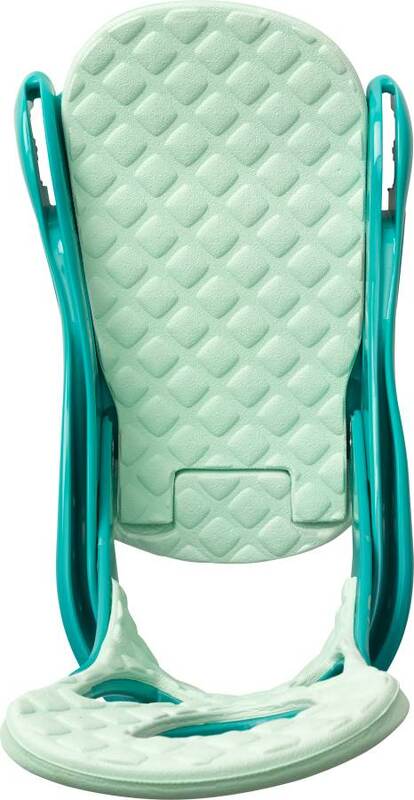 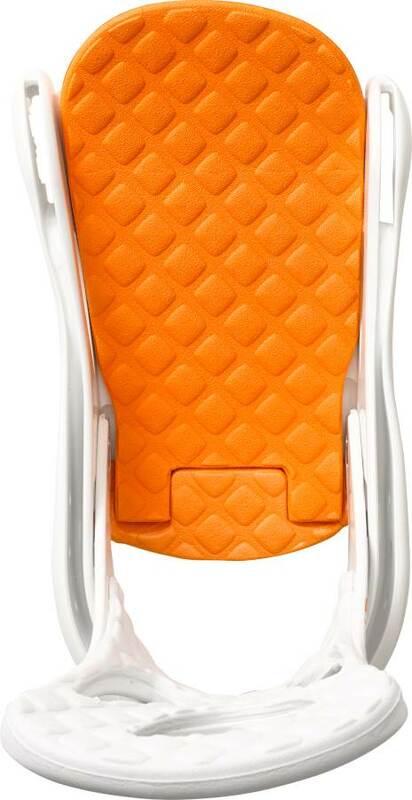 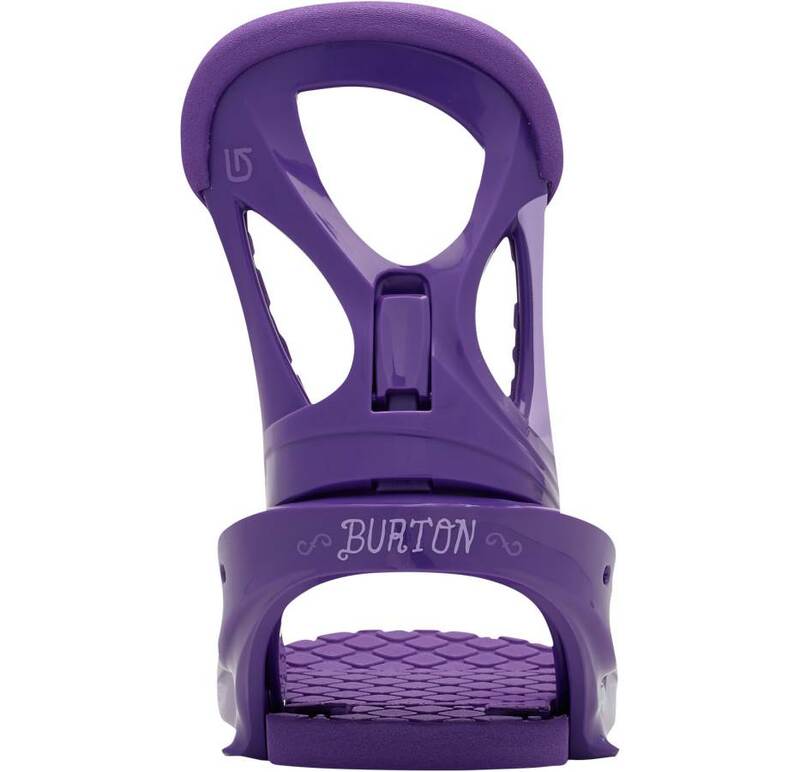 2013 Burton Stiletto– Same ol same ol is the name of this binding. 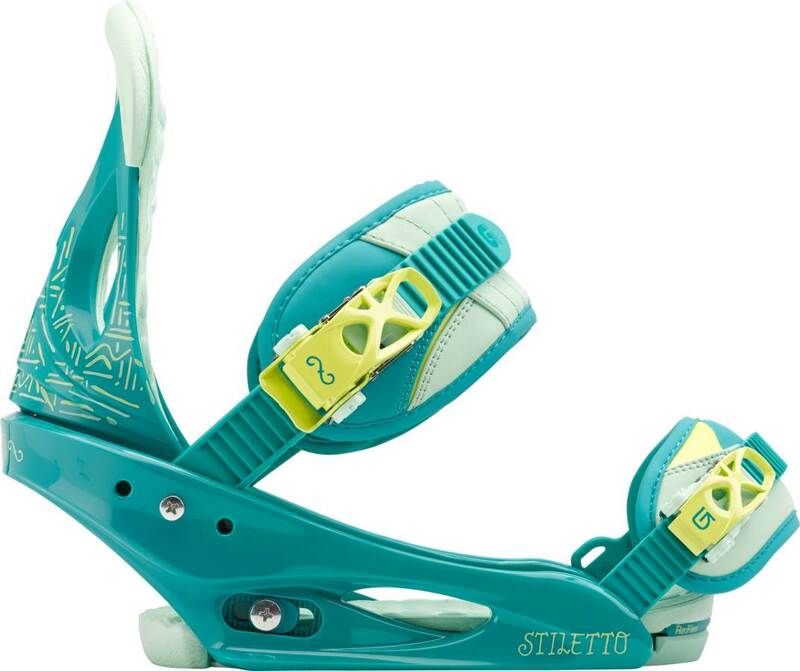 It’s a decent entry level binding but we suggest trying to find the Restricted Stiletto and buying that instead. 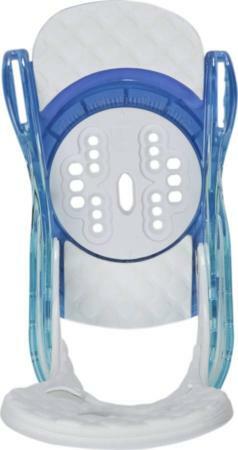 You will get a lot more modern tech. 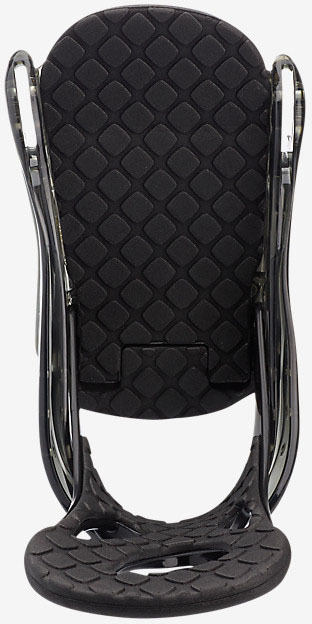 Flex:Decent flex and borders on the medium soft. 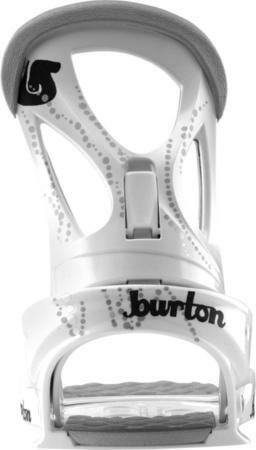 Adjustability: Same old borderline excellent adjustability as there is in the top of the line models. 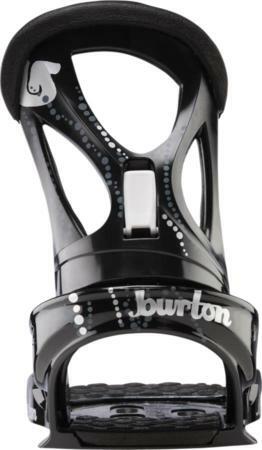 It would be nice to see everything except the discs tooless but it’s still pretty easy to dial out to your riding style. 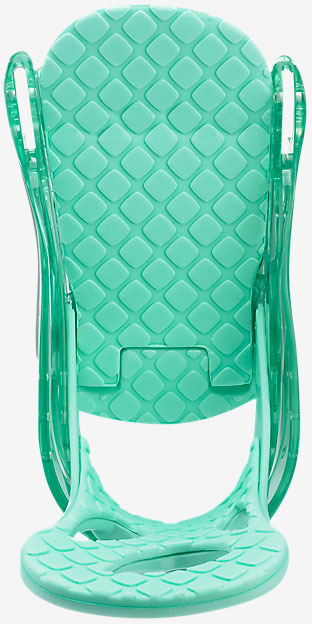 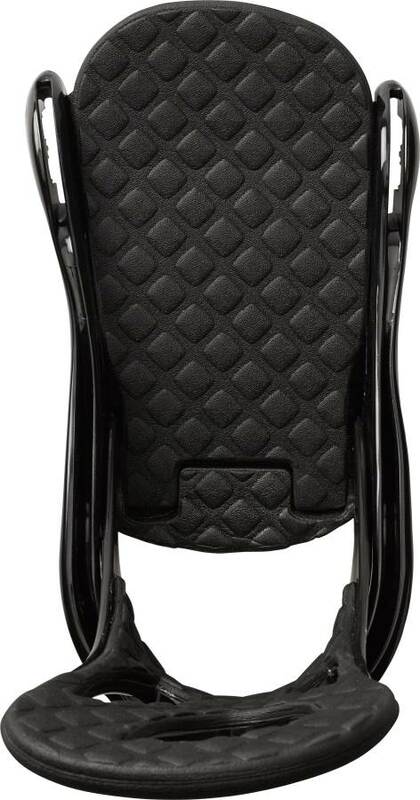 Comfort: Pretty comfortable for it’s price range. Burton does a good job making even their lower end straps fit boots well. 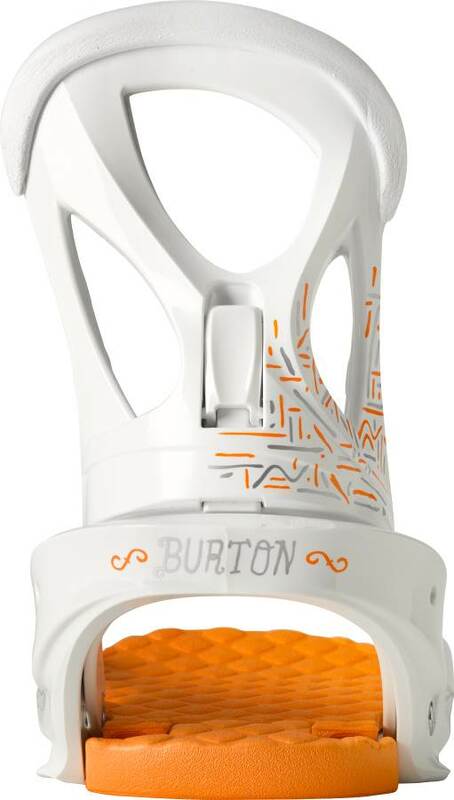 There is a major leap when it comes to the higher end stuff but it’s hard to get picky at this price range. 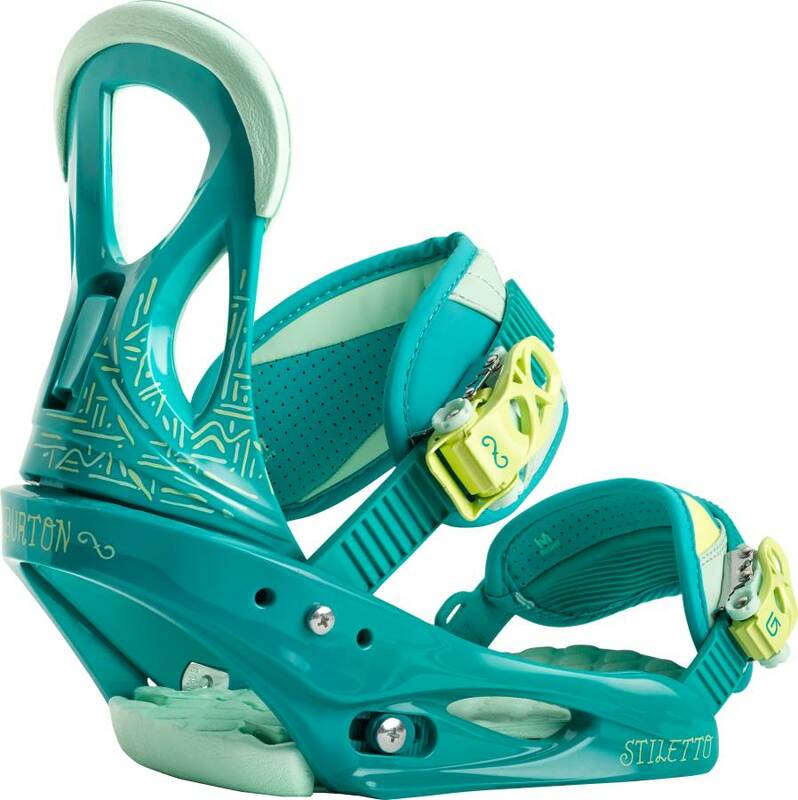 Heel-Toe Response: This isn’t a very responsive binding edge to edge and it’s not made for harder to turn boards. 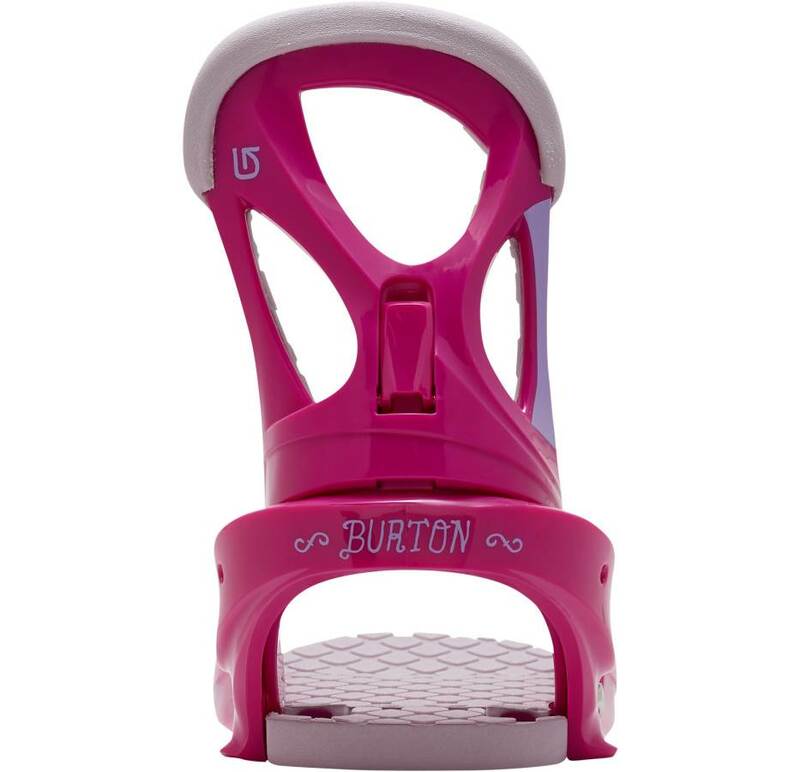 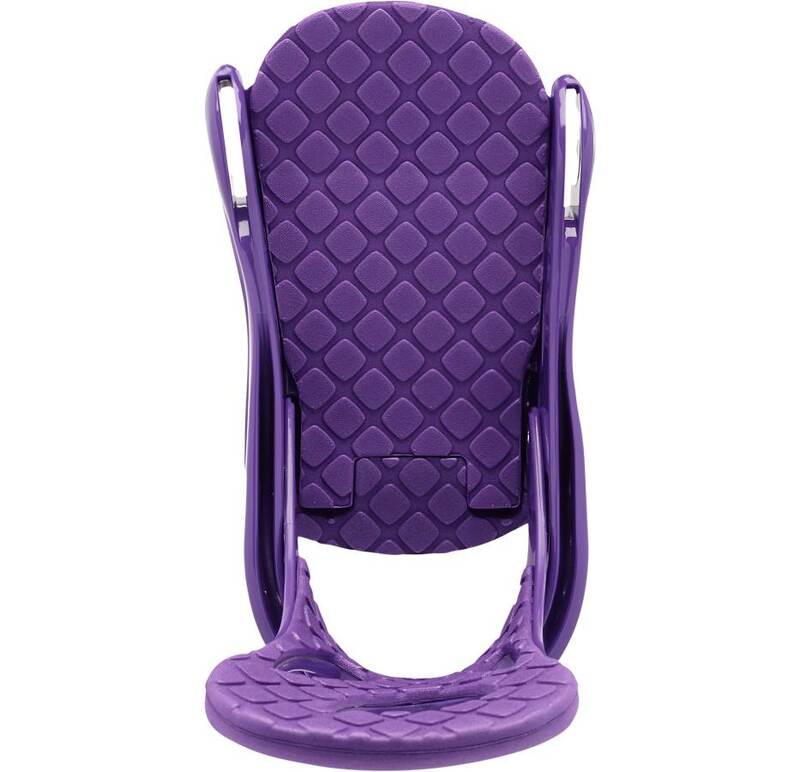 It’s ideal for paring up with an easy to very easy turning board. You just don’t get the quick edge to edge response that some of the other Burton bindings have. Tip-Tail Response: This binding leaves a dead spot underfoot so this is a huge difference in the worst way compared to the Restricted model. 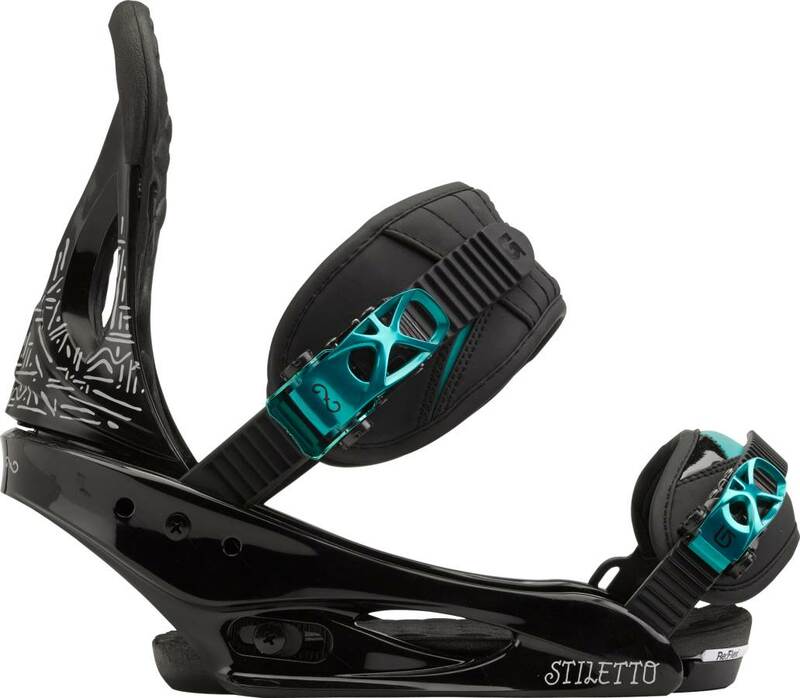 The 2014 Burton Stileto really changed up the ride here. 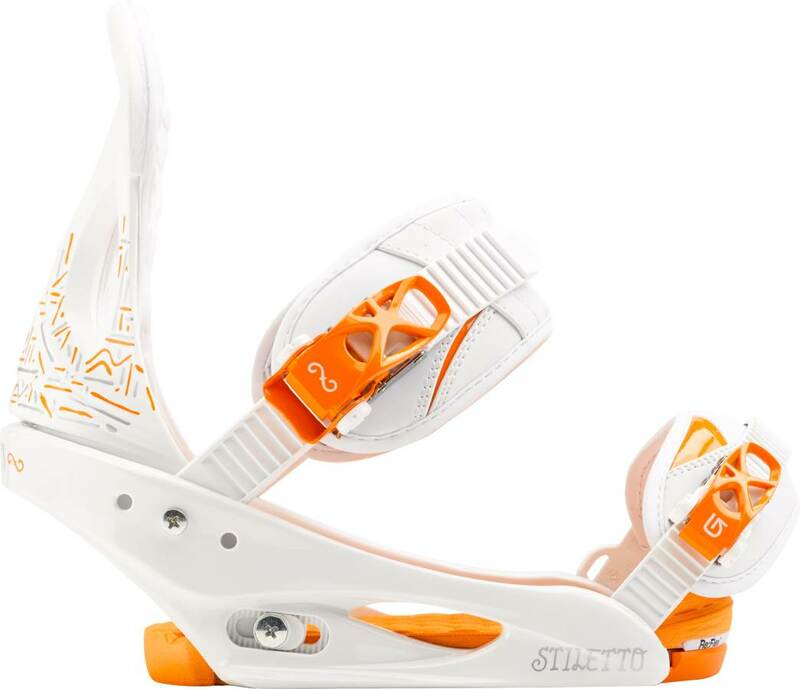 There is much better flex under foot for ollies, butters and such. 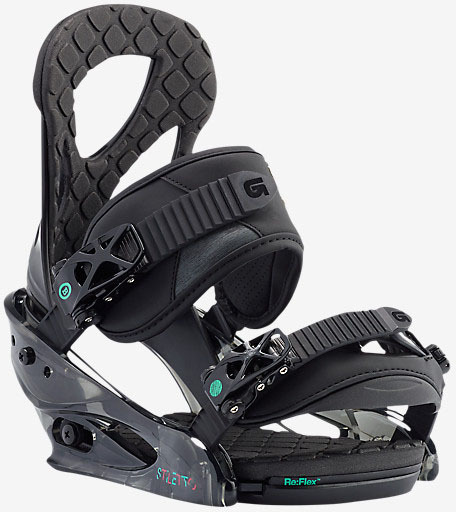 Boot Support: This was supportive in the mid to late 2000”s but things have changed with the bigger straps that have more support. 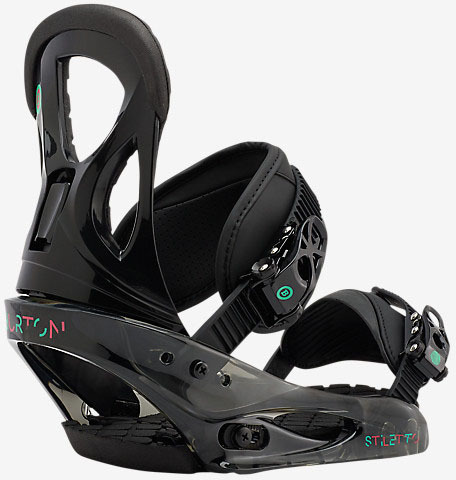 It does ok but if you want a little more support look for the restricted model. 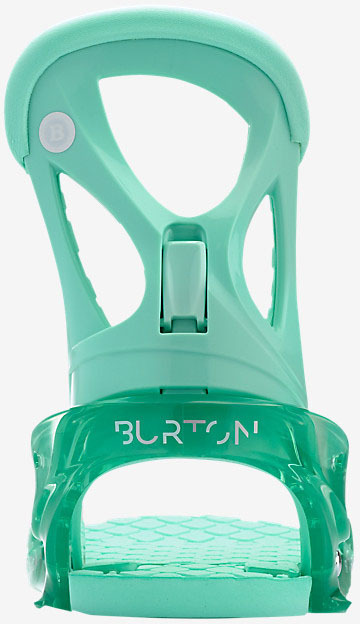 Ratchet System: Not high end. 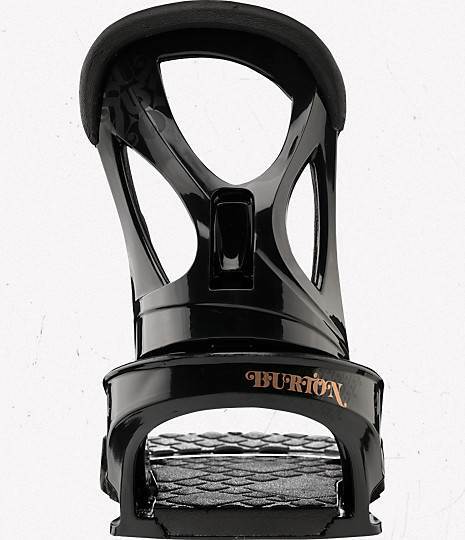 The ankle ratchet is excellent and the toe is just good. 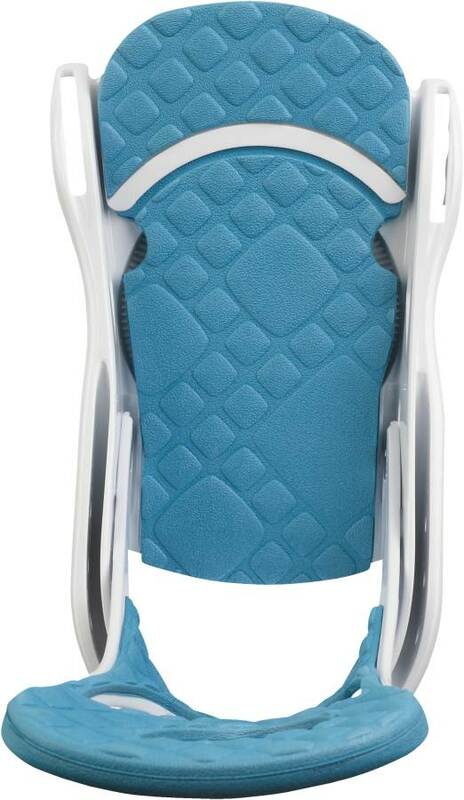 Shock Absorption: There is a pretty soft cushy pad under foot but it’s not as good as the padding in the re:flex models. 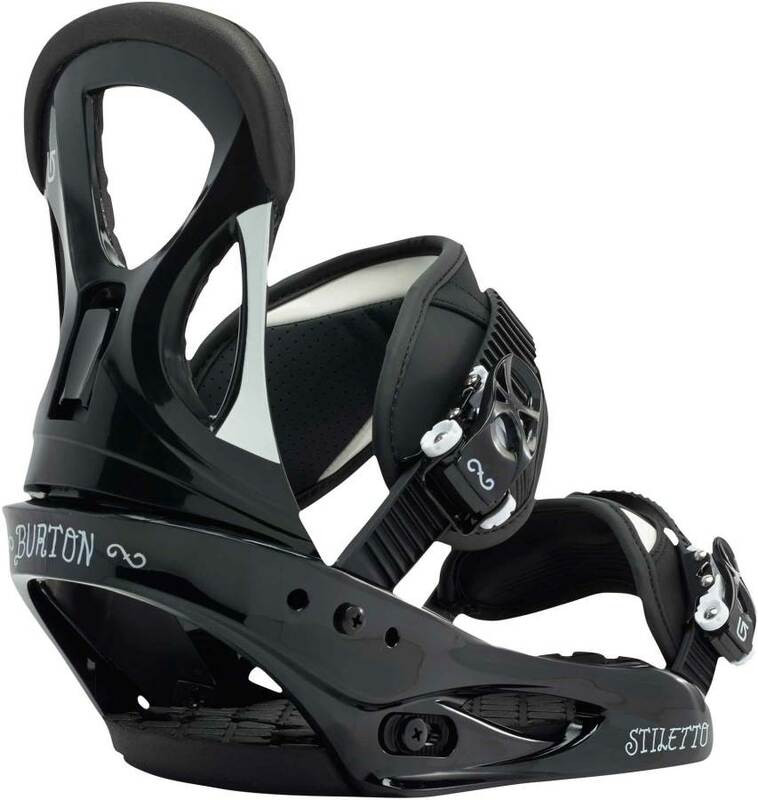 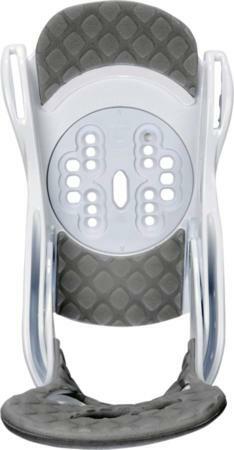 2012 Burton Stiletto– For 2012 Burton introduced the Stiletto EST for those that only ride Burton boards. 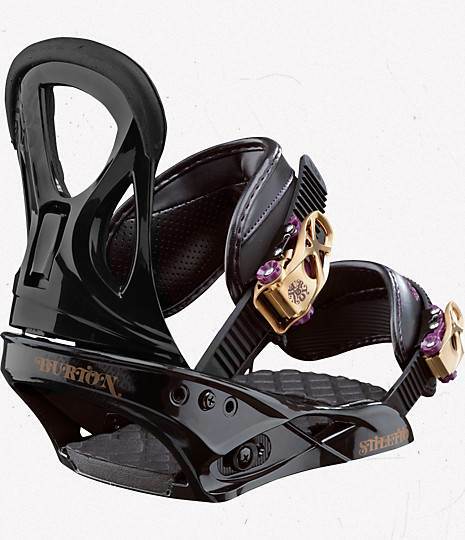 We would of rather just seen Burton make a Re:Flex Stiletto which is a similar ride to the EST and drop the other 2 but that is our 2 cents for 2 bindings. 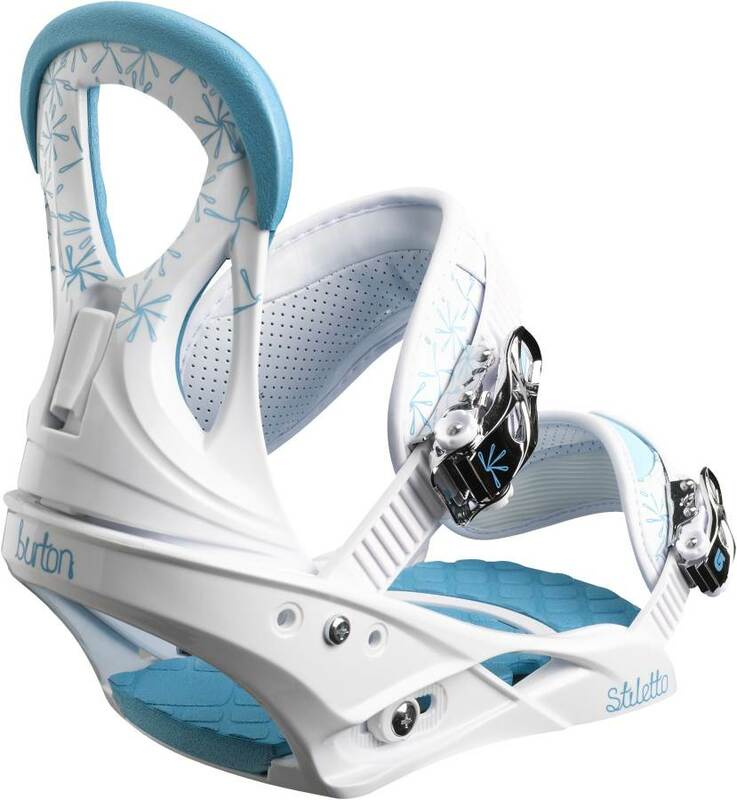 Still the EST will provide a smoother easier flex out of the Burton board you are riding because there is more natural flex under foot. 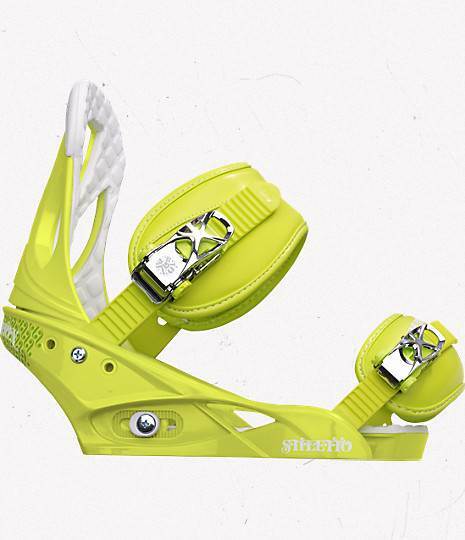 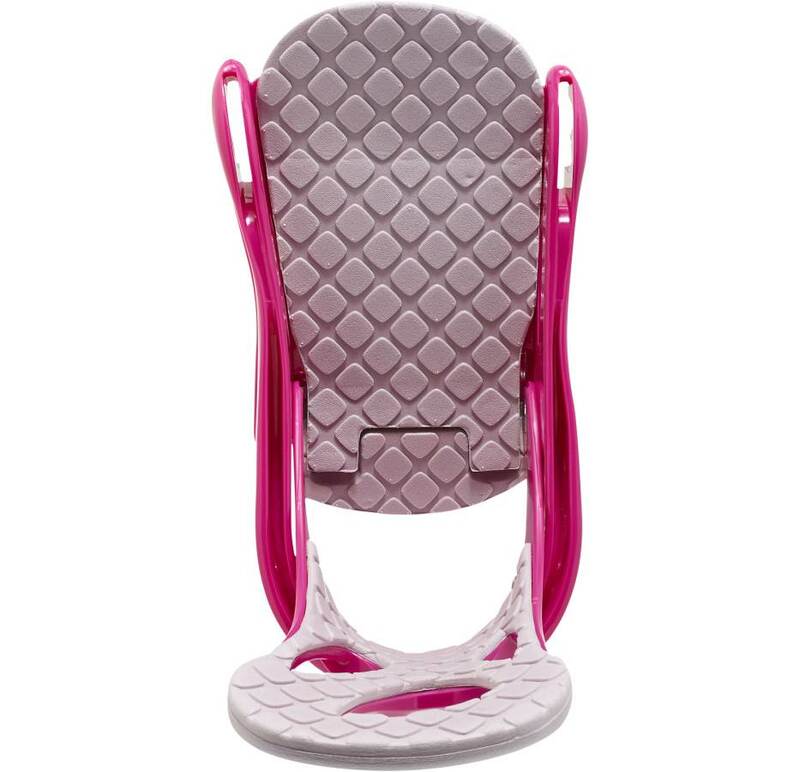 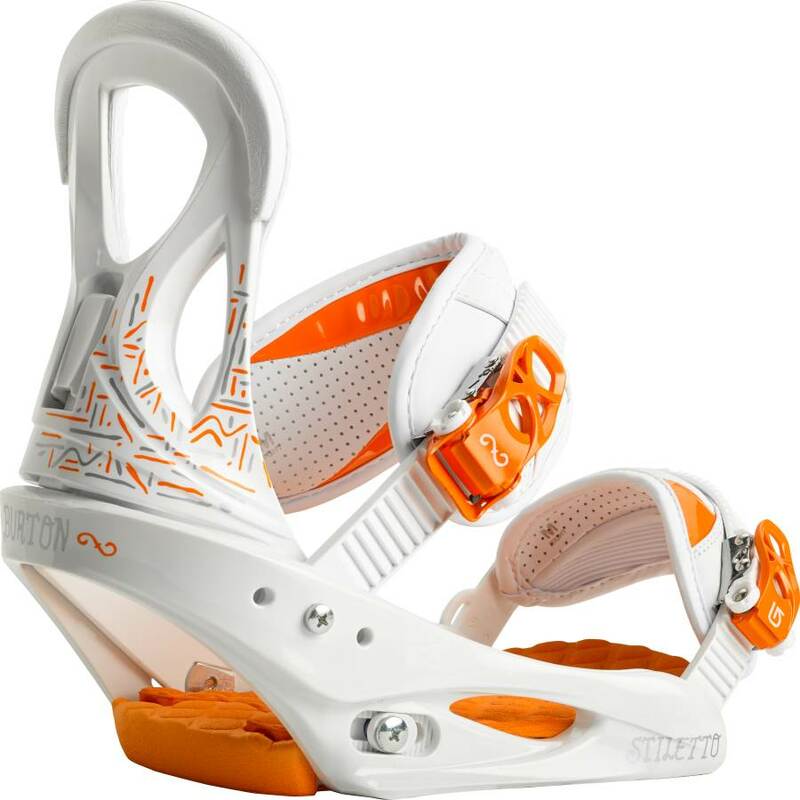 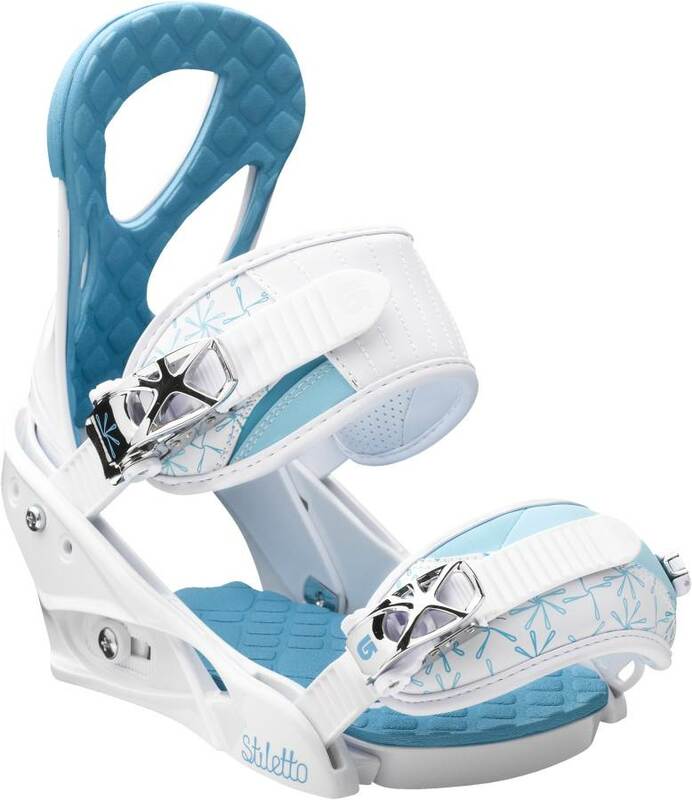 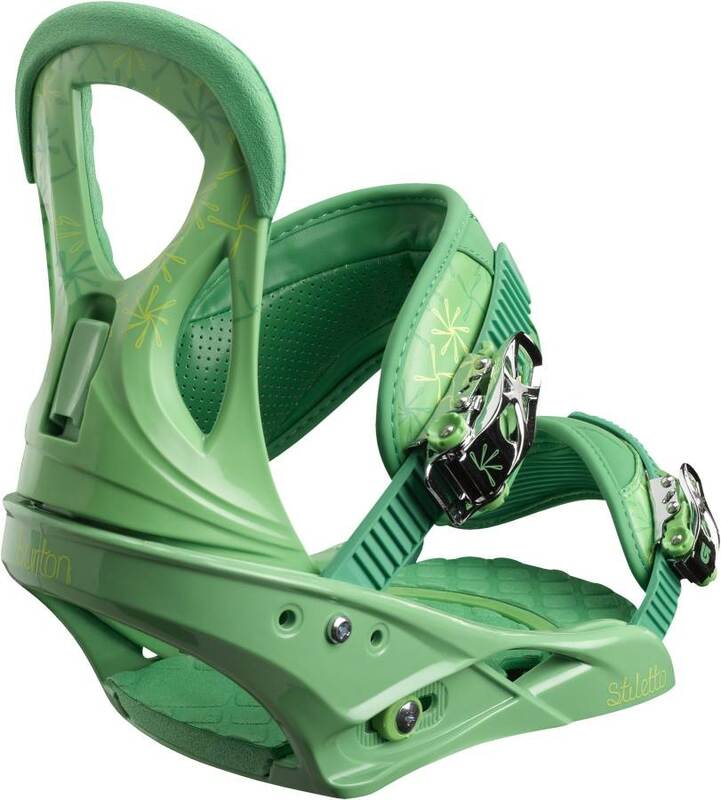 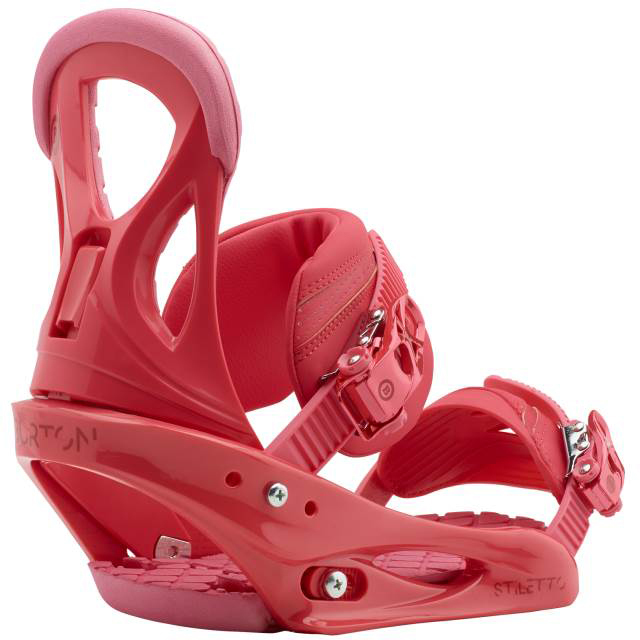 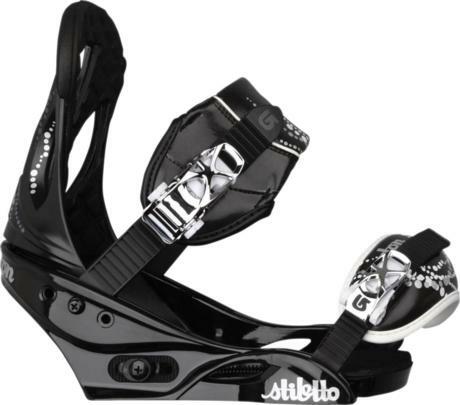 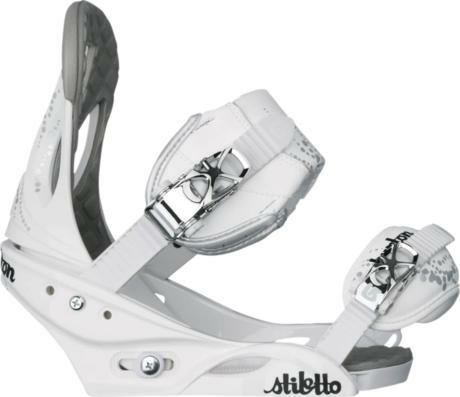 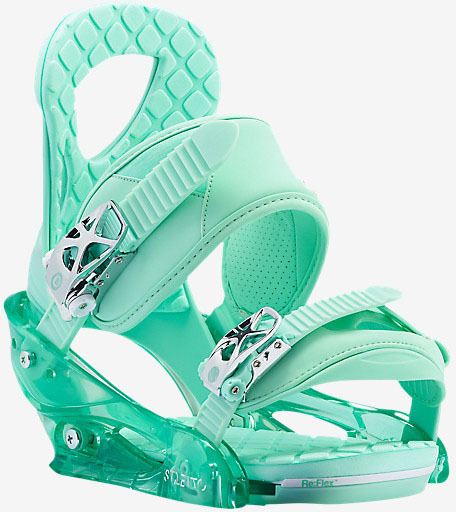 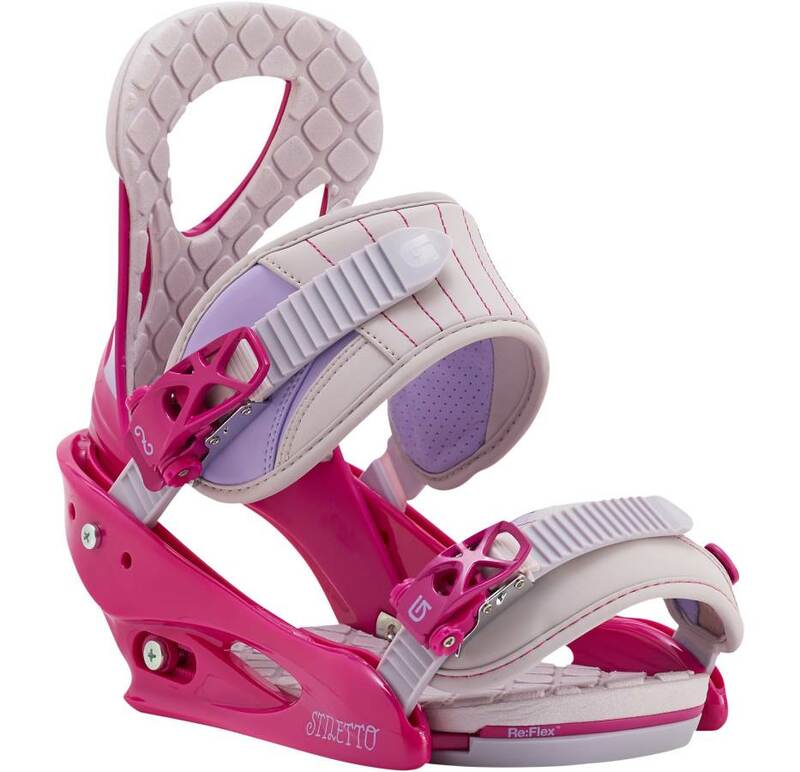 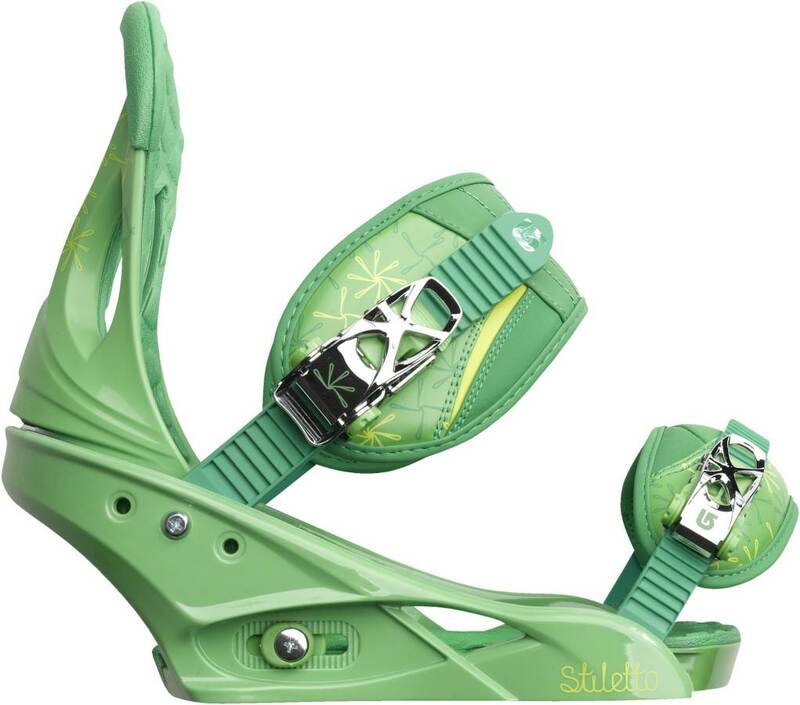 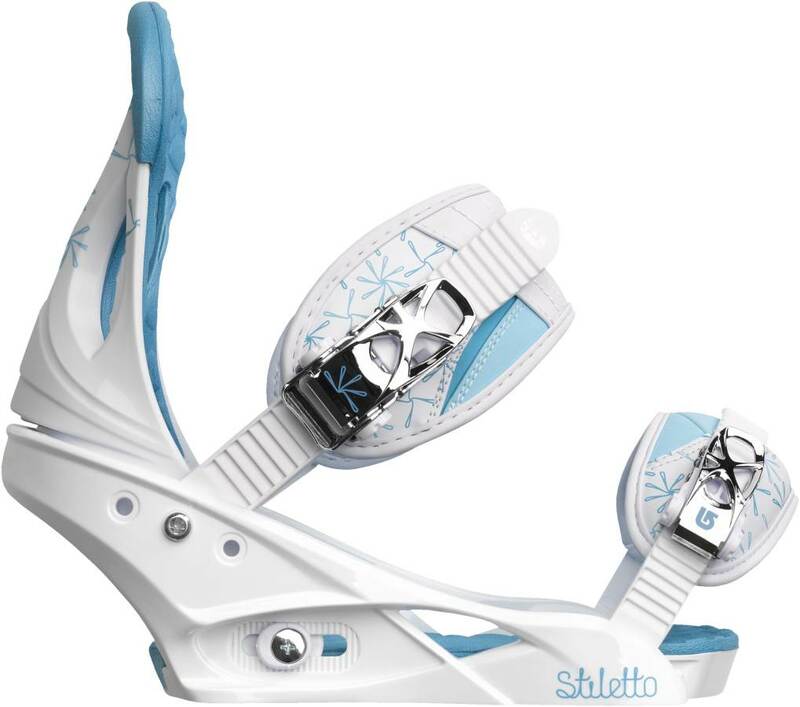 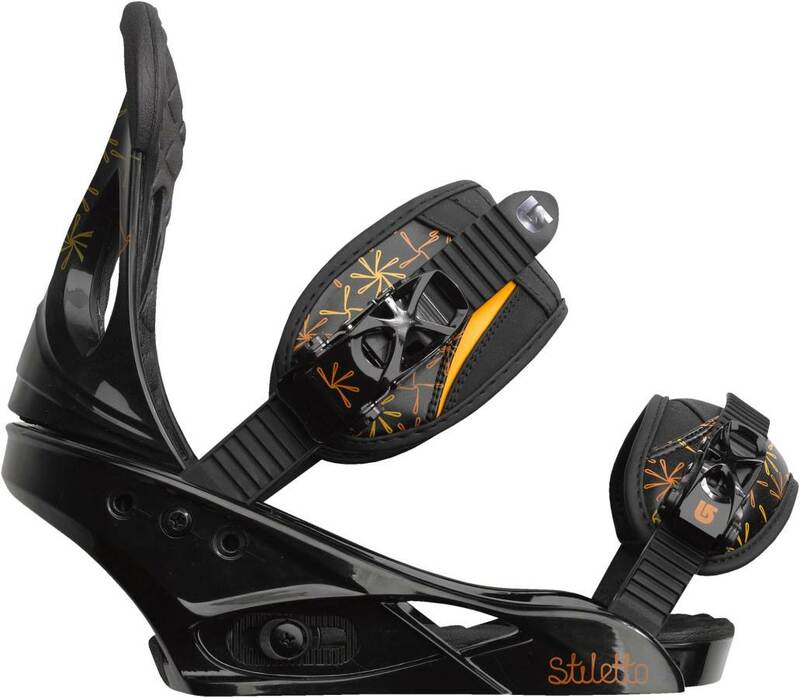 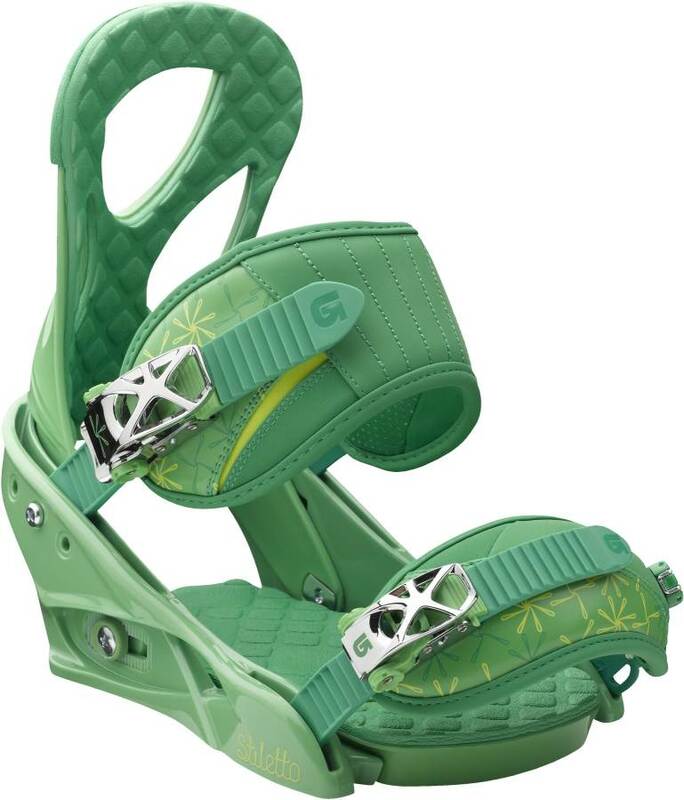 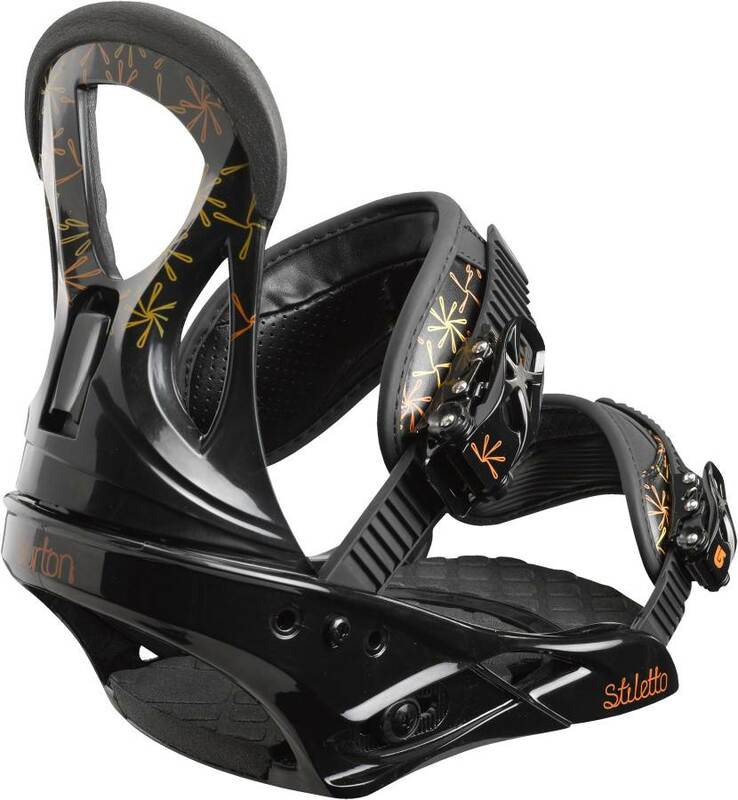 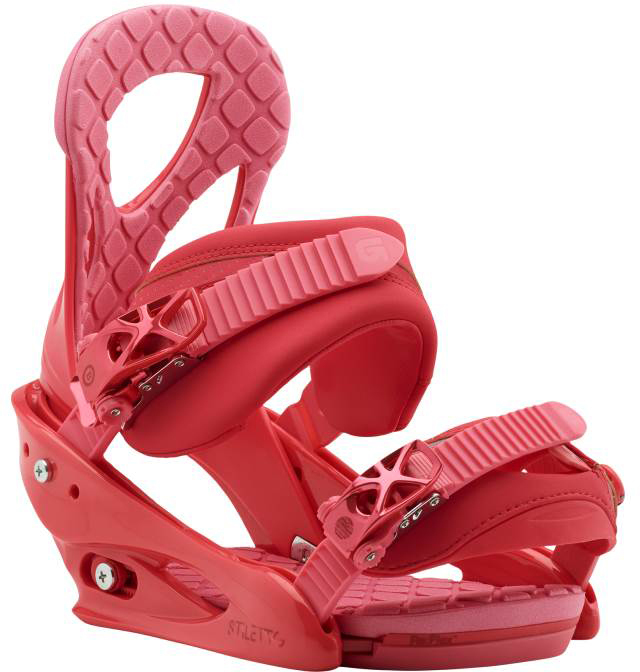 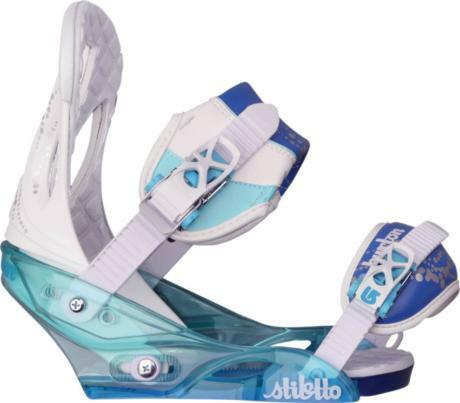 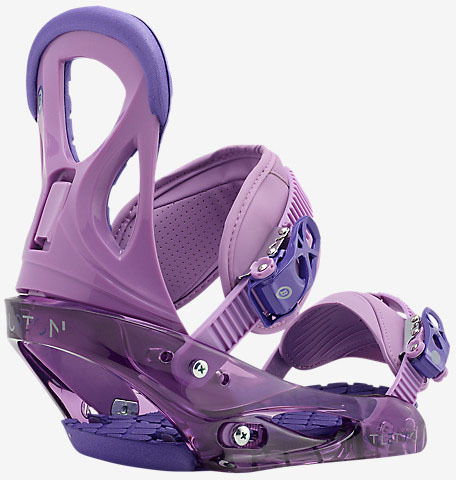 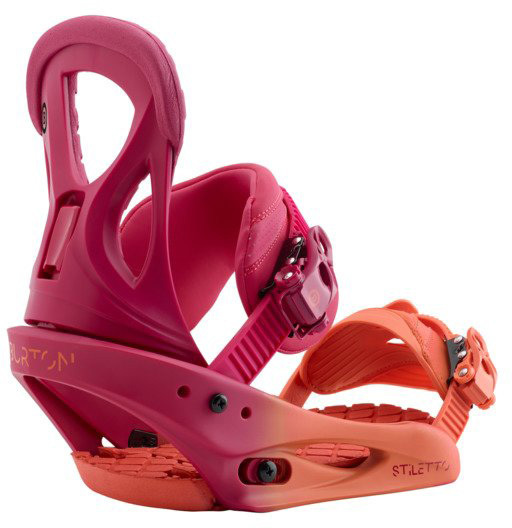 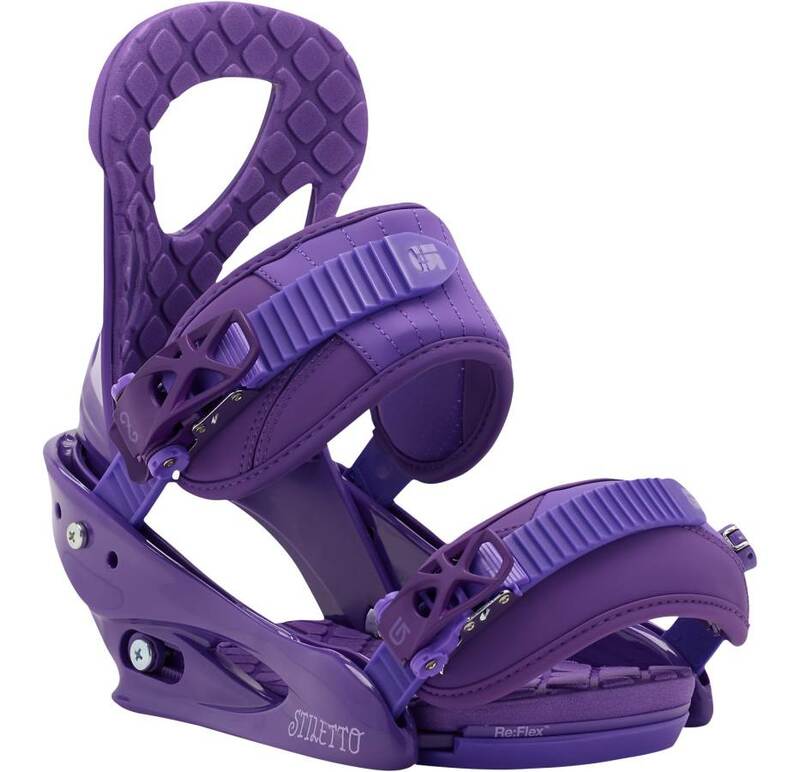 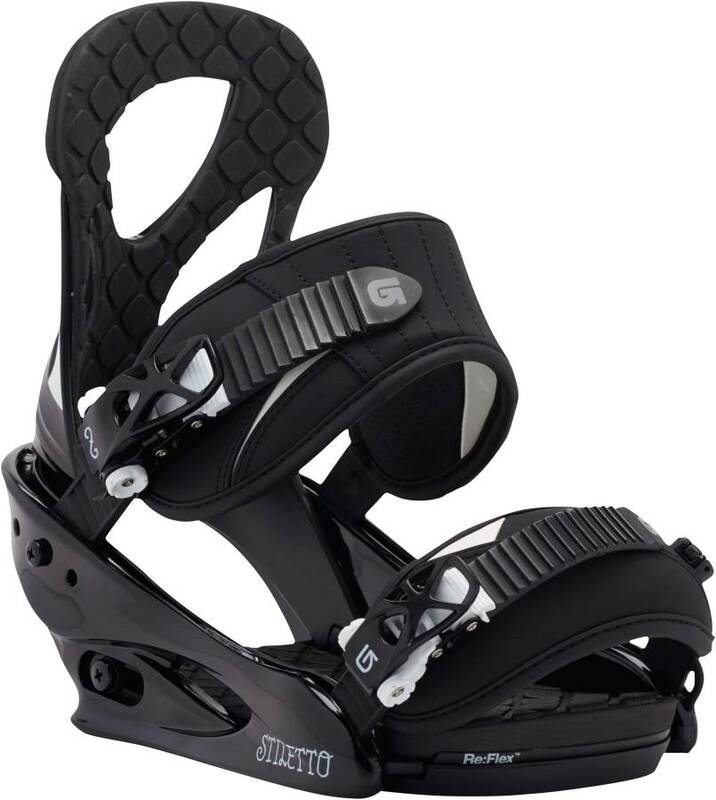 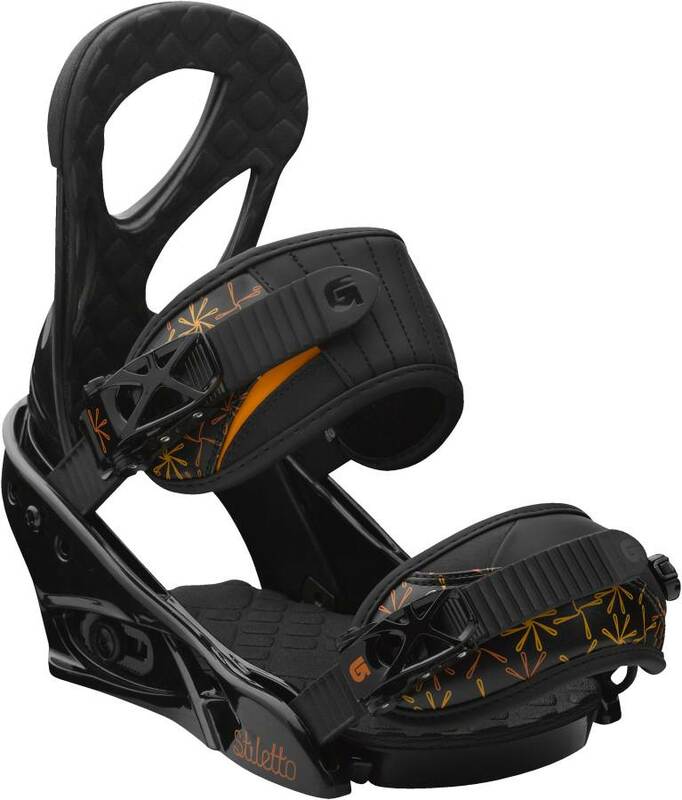 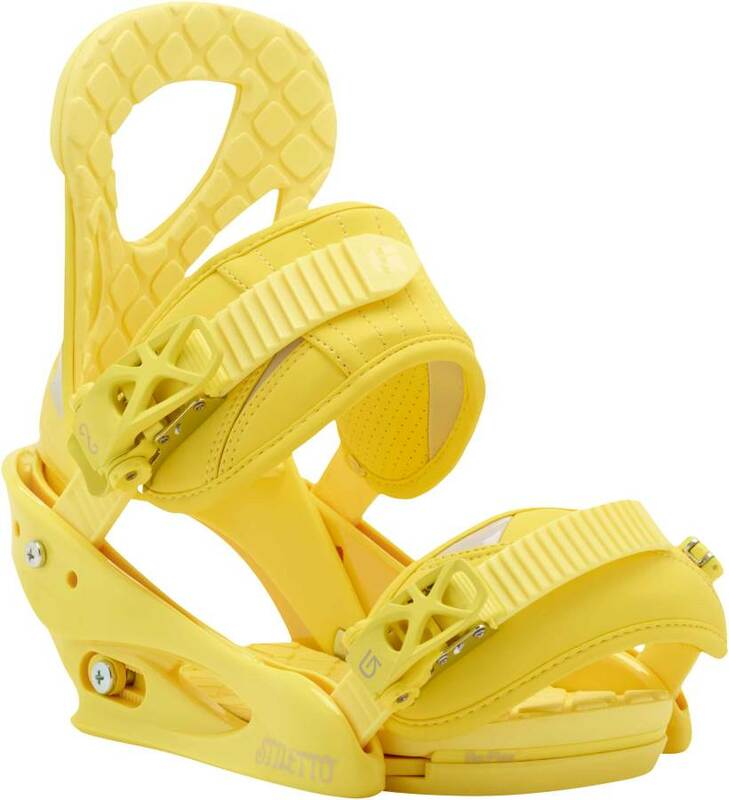 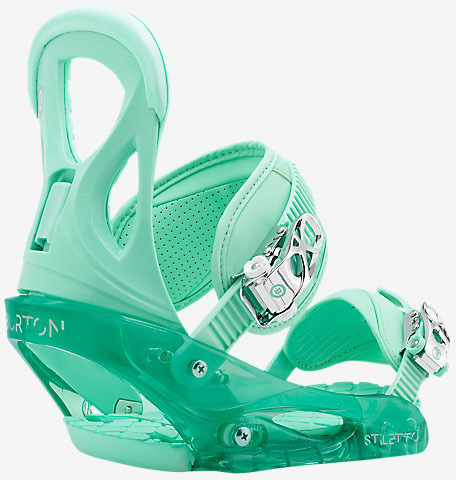 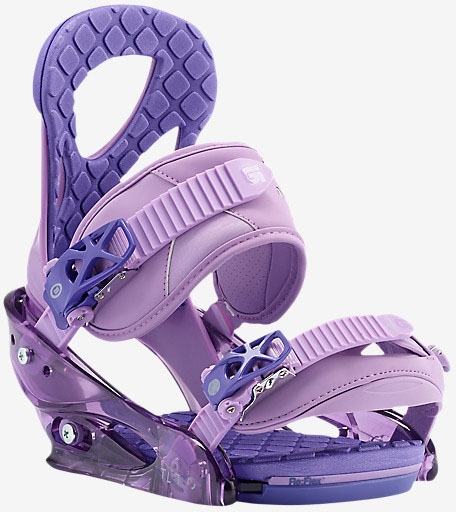 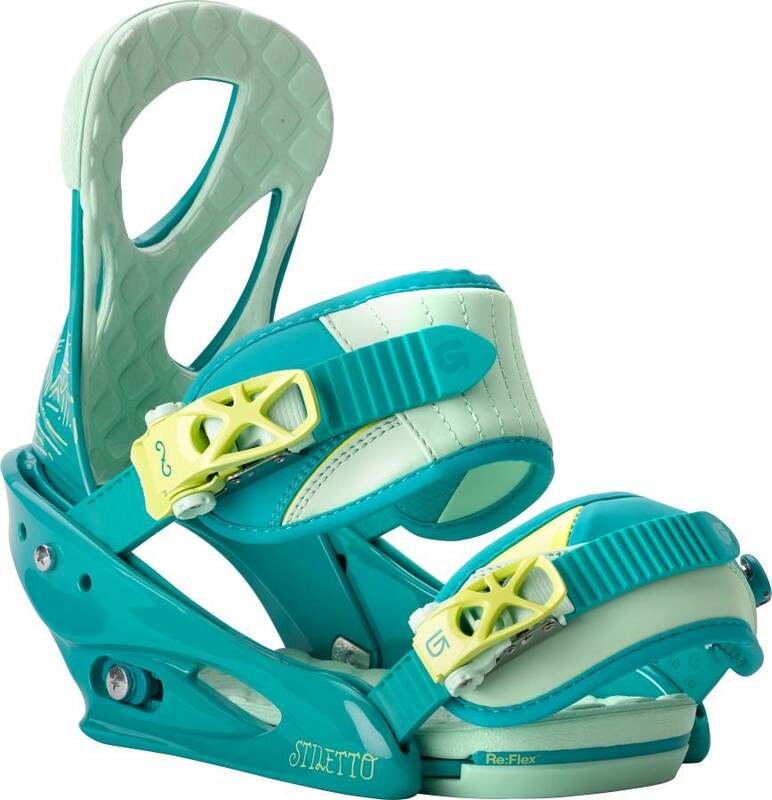 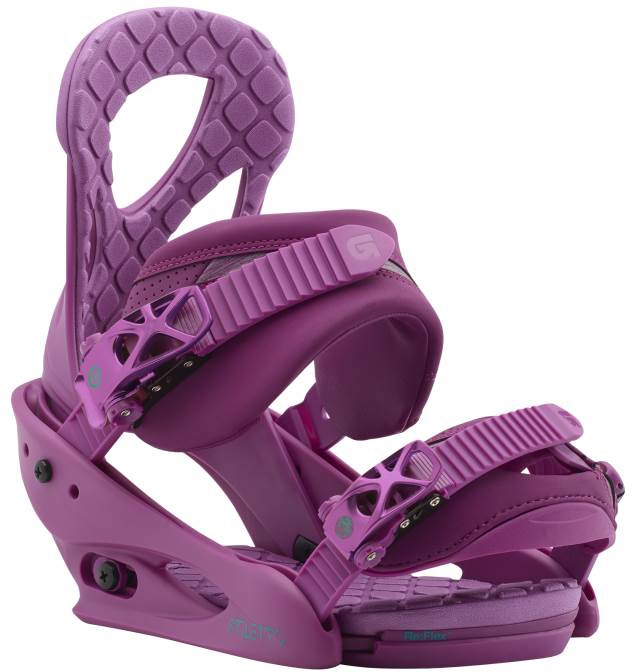 The 2011 and 2012 Disc Stiletto bindings are pretty close except for a more cushy strap and a better foot bed that provides cushioning from heel to toe. 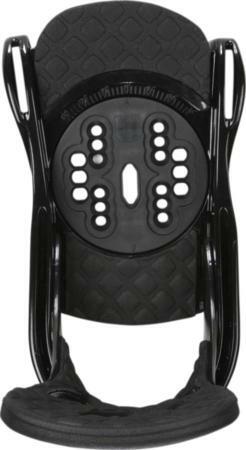 This makes the 2012’s the call over the 2011’s. Hopefully for 2012 Burton will at least drop the disc and add re:flex. 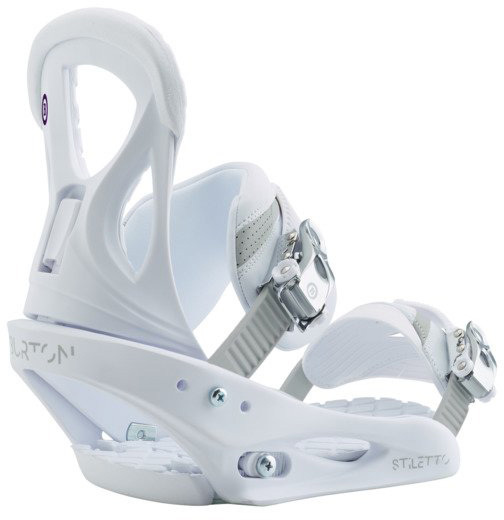 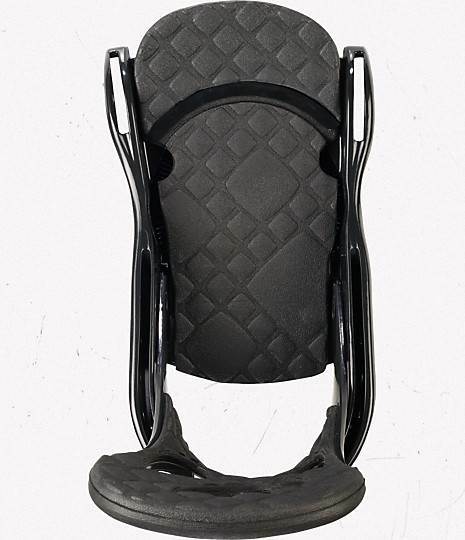 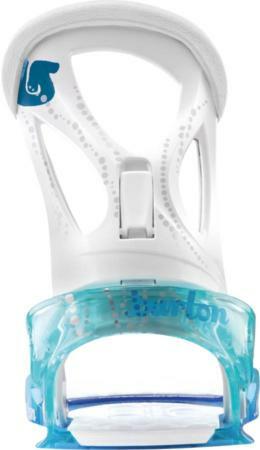 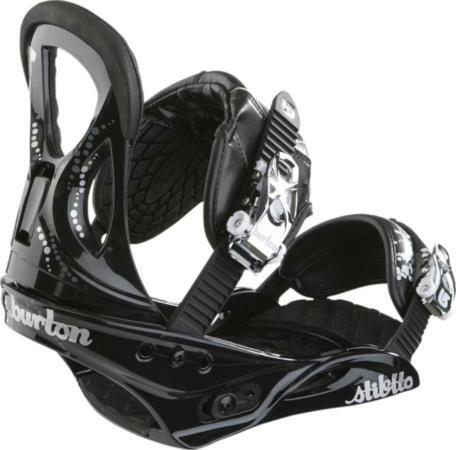 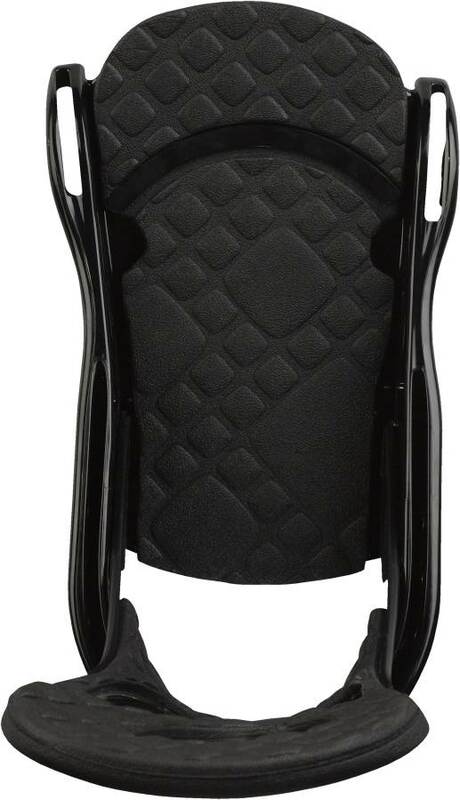 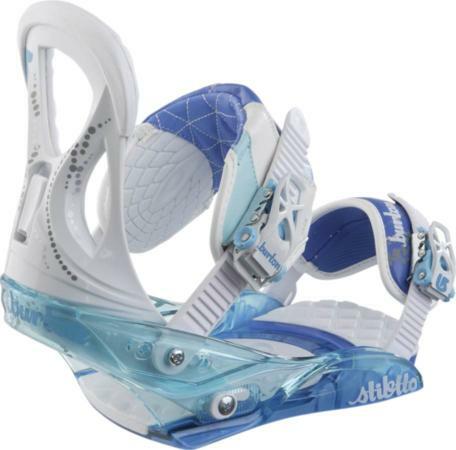 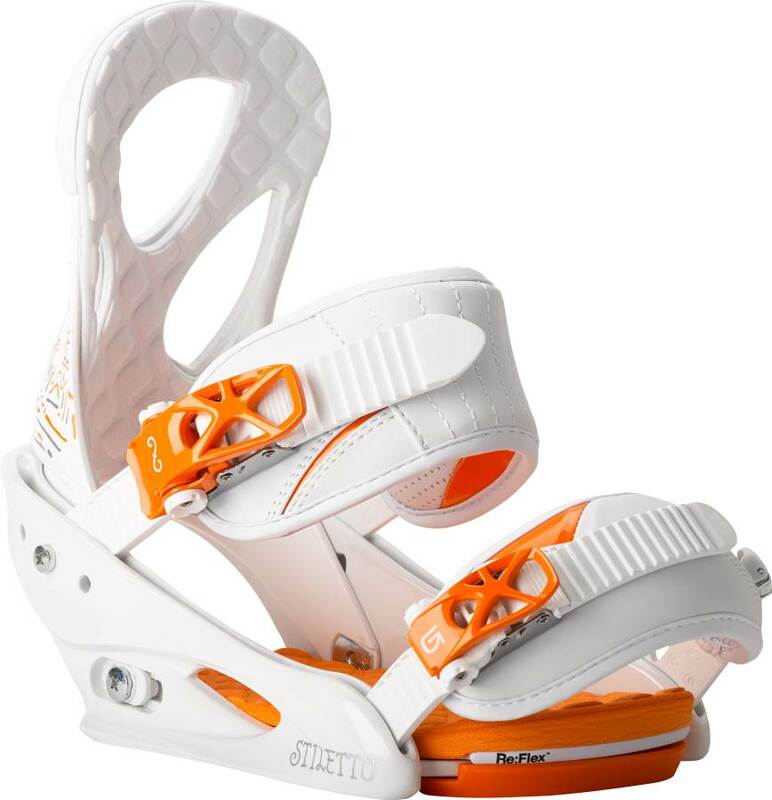 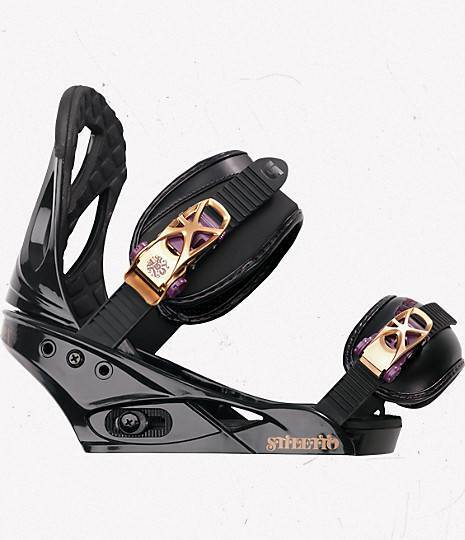 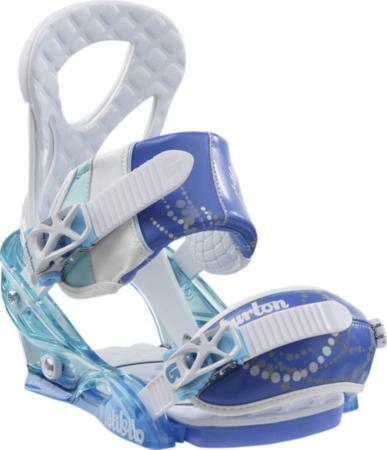 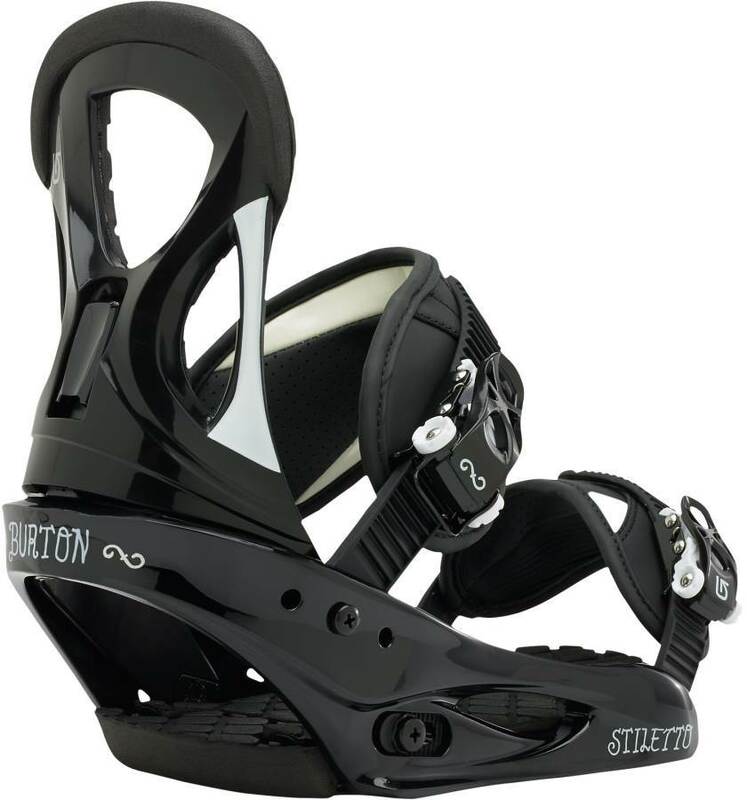 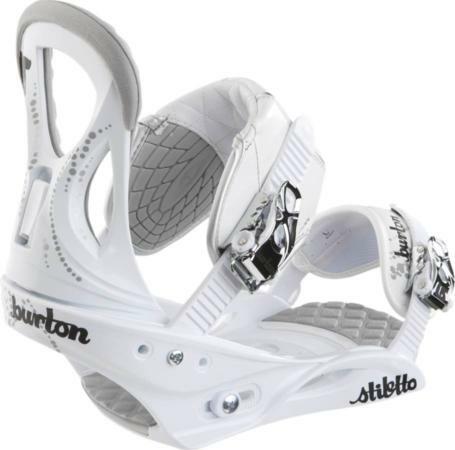 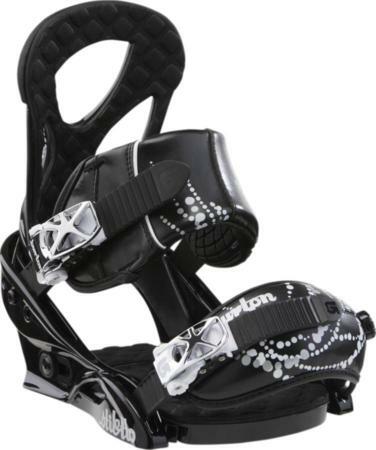 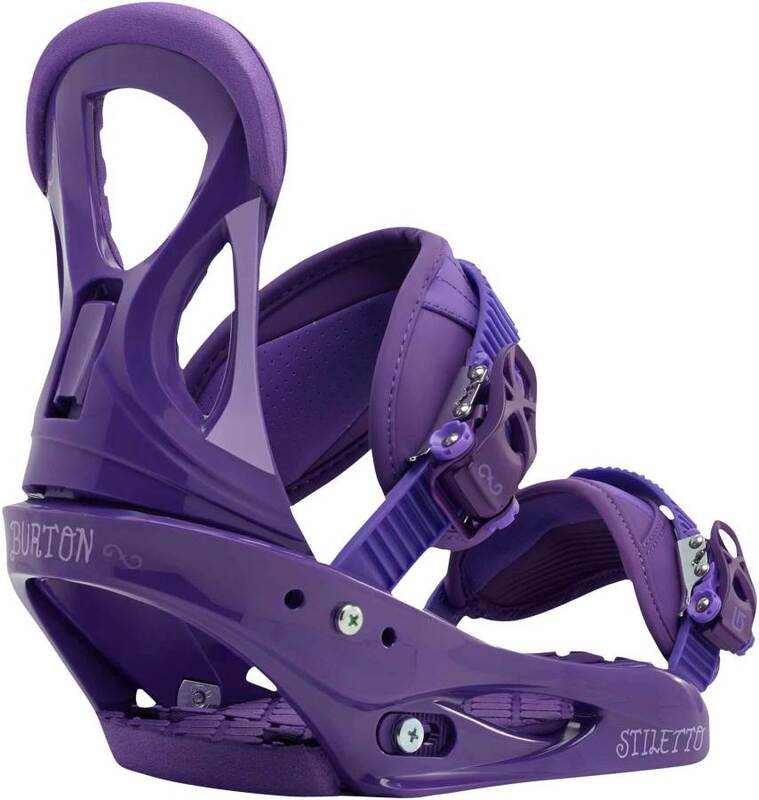 2011 Burton Stiletto– The 2011 toe strap fits around the boot much better and is closer to the original over the toe straps. We weren’t fan of Burton’s 2010 strap and many others weren’t either. 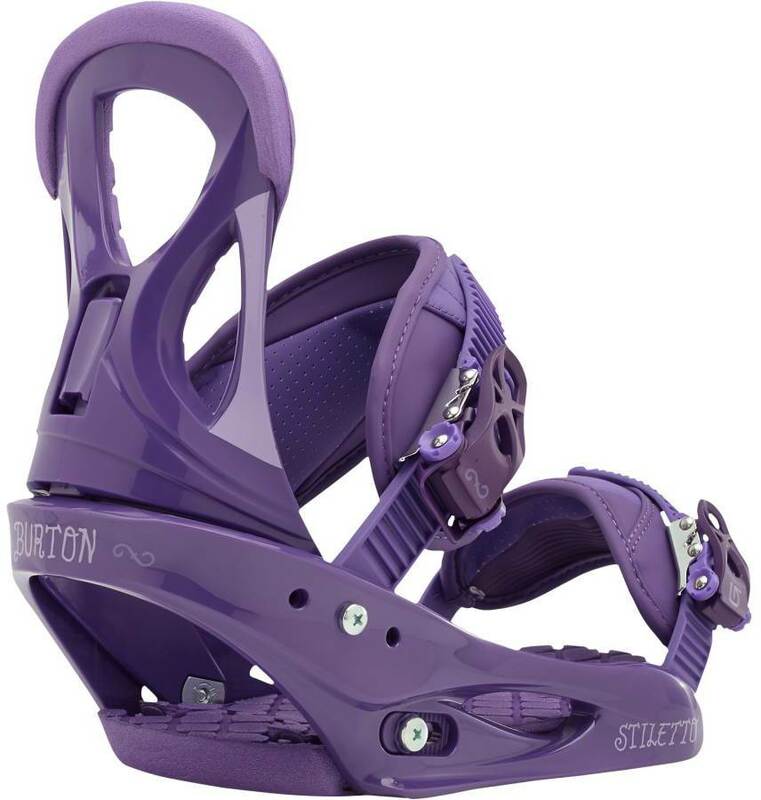 2010 Burton Stiletto– The new toe cap is just doesn’t work very well with this model. 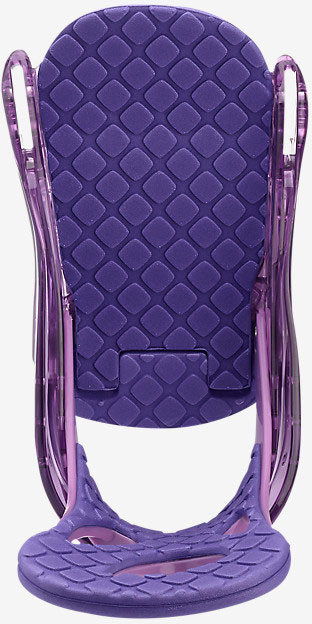 Many complained that it would come un-done. 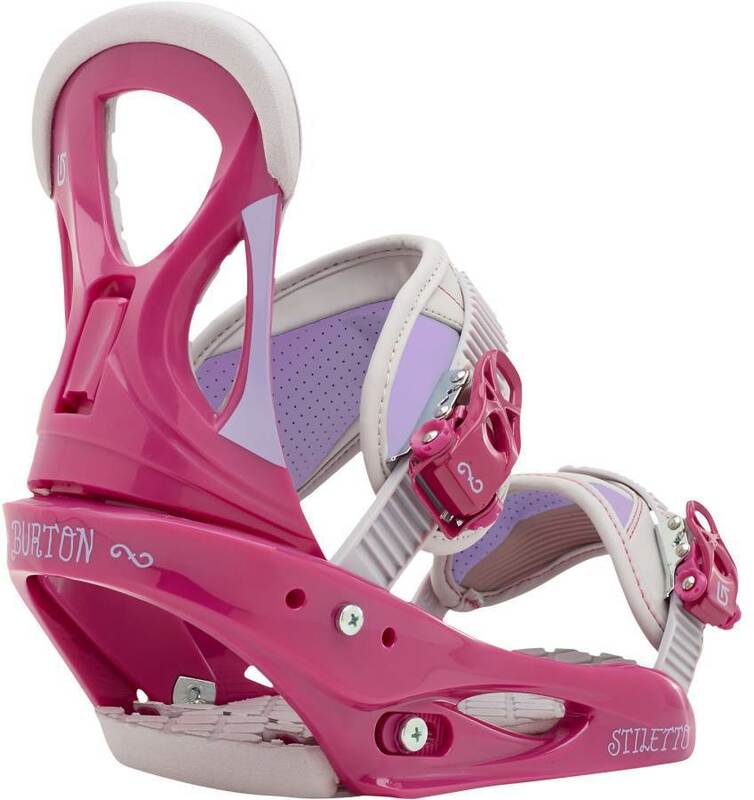 We try to get as many images of the Burton Stiletto, but forgive us if they're not all there.